Wouldn't it be great to have someone walk along side of you during your fitness or wellness journey? Your schedule or lifestyle may not lend itself to in-person personal fitness training, but you can still receive personal attention, motivation, and accountability with a personal fitness or wellness coach! What is Fitness and Wellness Coaching? Coaching is a growing profession that began in the early '90s. It is a relationship of one-on-one guidance, support, and accountability. Today, there are coaching specialties that address leadership, work/life balance, relationships, and most recently fitness, health, and wellness. Coaching provides a framework to outline your goals and the steps it will take to reach those goals. Your coach will help you identify your fitness or wellness vision, motivators, obstacles, and strategies to overcome these obstacles. When done in conjunction with personal fitness training, fitness or wellness coaching provides accountability of habits and activities outside of your personal training sessions. Many experts believe that fitness and wellness coaching is where personal fitness training was ten years ago?growing and ready to take off! In my experience, the single most important thing that determines a person's success in reaching their fitness or wellness goals is finding something that acts as a common thread that strings the weeks and months together while you work toward your goals. This common thread keeps you on course when you waver, brings you back when you stray, and celebrates with you when you achieve! A personal coach fills this important role, helping you stay the course, helping you succeed! What Makes Coaching So Successful? Quite simply, it's the power of accountability! Research shows that one-on-one coaching is one of the most effective methods in helping make and sustain changes in our lives. How often have you heard someone say, "I already know what I need to do. I just can't seem to do it!"? Each week, you will set very specific goals with your coach that build towards your long-term goals. You'll strategize about the obstacles that may come up and experience renewed motivation and the knowledge that someone is there for you to help you every step of the way. 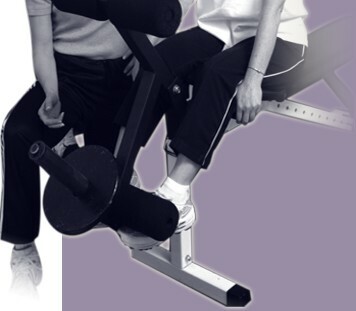 Personal training focuses on "what to do", which is necessary. The trainer's job is to provide the right information at the right time. You'll receive a great workout tailored to help you meet your goals. Personal training sessions often include goal setting and some discussion of habits outside of the training session, but the nature of personal training does not leave much time to address these important things in-depth. The job at hand is the workout and it requires focus and instruction. Coaching focuses on the individual motivators and obstacles of "getting yourself to do it", which is where many of us get tripped up. The coach's job is to ask the right questions at the right time, helping you come up with your own answers. Coaching helps you put your fitness or wellness vision and goals on paper together with a structure of accountability and support to meet those goals. A good deal of time is spent analyzing and preparing for challenges that interfere with success and determining what will keep you on track. Coaching asks the hard questions like the whys and why-nots, acknowledging and addressing the usually unspoken but universal struggles with frustration, exhaustion, boredom, and being overwhelmed. What is the Difference Between Fitness Coaching and Wellness Coaching? 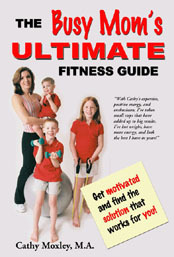 Fitness Coaching deals specifically with fitness-related goals. We'll tackle, in-depth, the nuts and bolts of your workout routine to ensure that it is always challenging and uniquely tailored to meet your changing goals and fitness level. You'll never be bored and you'll incorporate subtle workout variations week-by-week that will make a difference! Wellness Coaching is a more holistic approach that addresses comprehensive wellness goals including fitness, but also addresses goals in related areas such as nutrition, weight control, and stress management. You'll feel at peace and more in control of all the pieces to the puzzle! Coaching is great alone if? You want the expertise and philosophy of Fitness InSight but don't live near Germantown, Maryland. Coaching Combined with Personal Training is great if? You also want accountability for your habits between personal training sessions?quite often the missing link in reaching success. Most often, coaching is done over the phone, making geography a non-issue! Our first step is to schedule a free consultation to see if coaching is right for you. If we decide to move forward, I will email you a detailed Personal Profile Questionnaire about your health and activity history, your priorities and goals, interests and challenges and we will commit to a 12-week coaching cycle. Why 12 weeks? A three-month period is long enough to see real results and to encounter (and thus learn to deal with) a variety of real-life obstacles yet short enough to create a sense of urgency in staying with the plan. In our first session, we'll review your Personal Profile and begin defining your path. You are about to change your lifestyle forever. This first session will be 45-60 minutes, to give us ample time to begin developing your fitness or wellness vision, as well as set three-month goals and your first week's goals that will feed into your three-month goals. We'll decide how best to track your progress and keep you motivated. We'll plan ahead to strategize for the inevitable obstacles that could hamper your progress. We may utilize a variety of assessments, status reports, tracking charts, and other tools along the way to keep you motivated. We may schedule several personal fitness training sessions or discuss home exercise equipment recommendations, if necessary and if possible, to make sure that your exercise routine is tailored for your goals and that you are comfortable performing it correctly. If you are out of the geographic area, we will use other creative means to ensure that you are exercising properly and with correct guidance if needed! For most coaching clients, we will schedule weekly phone coaching sessions for a 12-week period. Each weekly coaching session will be 20-30 minutes in length and will focus on reviewing your progress toward the previous week's goals, addressing challenges or obstacles, and setting the coming week's goals. In addition, during that time, I will be at your service at all times. You will be entitled to unlimited email correspondence and between-session phone support as needed. At the end of the 12 weeks, we'll evaluate your success and you may decide to begin a new 12-week cycle to further your progress or work on new goals! What Is the Best that Coaching Has to Offer? Provides the common thread that will keep you going over time. Looks at the whole picture, addressing many health-related habits that, together with fitness, determine overall wellness, such as nutrition, stress, cholesterol, blood pressure, and weight management. Is like an around-the-clock personal trainer, providing a systematic framework to monitor habits and activities you do on your own, outside of your personal training sessions?in other words, the other 166 hours per week! Puts personal goals and commitments on paper, providing clarity, support, and accountability. Focuses on what will make "this time" different than all the other times you've tried to make similar habit changes. Is pro-active by anticipating challenges and obstacles from the beginning and puts a high priority on trouble-shooting.